The Afghan cabinet says at least 27 civilians are dead as the result of NATO airstrike in southern Afghanistan - an incident that is inflaming already heightened sensitivities over noncombatant casualties in the war. In a statement released on Monday, the Afghanistan Council of Ministers strongly condemned the airstrike, saying it was "unjustifiable." The cabinet says initial reports indicate that NATO fired Sunday on a convoy of three vehicles killing at least 27 civilians, including four women and one child. The ministers say 12 others were injured while they were on their way to Kandahar. The cabinet previously reported 33 civilians had been killed. NATO has confirmed that its planes fired on what it believed was a group of insurgents in southern Uruzgan province, but later discovered that women and children were hurt. The strike hit three minibuses that were driving down a major road in the mountainous province. There were 42 people in the vehicles, all civilians, Bashary said. NATO said that its forces transported injured people to nearby medical centres. "We are extremely saddened by the tragic loss of innocent lives," NATO commander Gen. Stanley McChrystal said in the statement. "I have made it clear to our forces that we are here to protect the Afghan people and inadvertently killing or injuring civilians undermines their trust and confidence in our mission. We will redouble our effort to regain that trust." McChrystal apologized to President Hamid Karzai for the incident on Sunday, NATO said. NATO has gone to great lengths in recent months to reduce civilian casualties as part of a new strategy to focus on protecting the Afghan people to win their loyalty over from the Taliban. Rules for airstrikes have been tightened, but mistakes continue to happen. In the continuing offensive against a Taliban stronghold in Helmand province, south of Uruzgan, two NATO rockets killed 12 civilians and others have gotten caught in the crossfire. 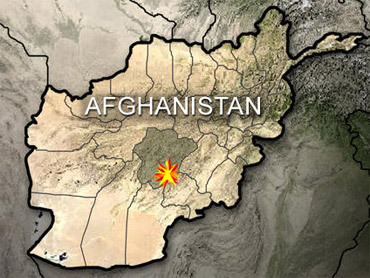 On Thursday, an airstrike in northern Kunduz province missed targeted insurgents and killed seven policemen.